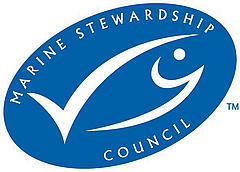 The MSC (Marine Stewardship Council) eco-label communicates sustainable sourcing to customers and the market. The fishing industry, including retailers and processors in Spain are more aware of the need for sustainable fisheries. Spain and its industry is taking the first steps on this path. Companies like Eroski (the fourth biggest retailer in Spain) are working with WWF on sustainable sources for its seafood. There are now 57 canning companies that have ‘chain of custody’ certificates, meaning they are part of a supply chain that sources products from an MSC certified fishery. The fishing sector is also moving. In Spain, a number of fisheries were certified by MSC last year. •	The Pescafria Company – a cod fishery in the Barents Sea has already achieved MSC certification. •	The Galician company ‘Grupo Regal’ is currently working towards certification for the hake fishery in the Northwest Atlantic (mainly in the Celtic Sea). Grupo Regal sells fresh hake through the local Galician company ‘Puerto de Celeiro S.A.’. •	At the moment the Spanish longline fishery for hake is under independent evaluation for MSC certification. The condition of the hake stock, the impact of fishing on the ecosystem and the effectiveness of the current fishery management are being examined. Grupo Regal has two longliners operating in the Celtic Sea to catch hake. However, another 50 Spanish longliners are also fishing in the same location, mostly based in Galicia, in the ports of Celeiro, Burela, Vigo, Riveira and Cedeira, and in Avilés (Asturias) and Ondarroa (Basque Country) ports. If the Grupo Regal longliners are successful and achieve MSC certification, this could pave the way for other longliners that meet the standards to be put forward for MSC assessment.